POP stars, an Olympic athlete and a Black Country music legend have all jumped forward to support our Feed a Family This Christmas appeal. 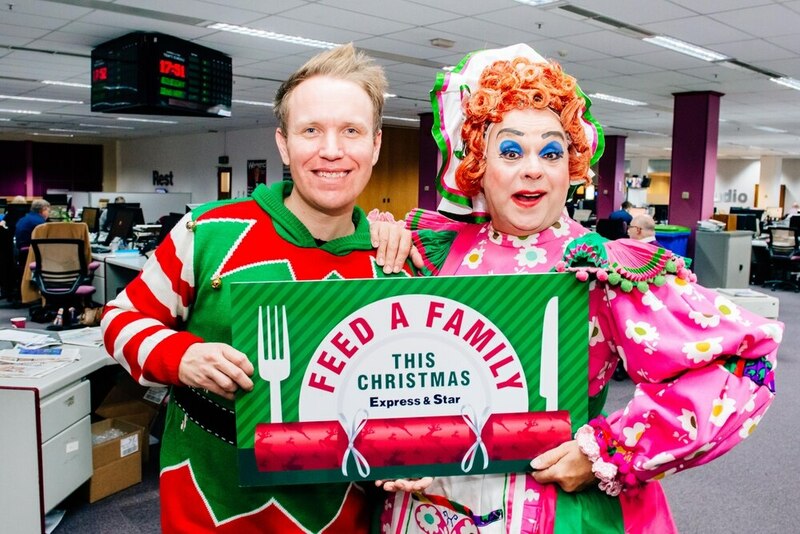 But now stars of the upcoming panto Jack and the Beanstalk have backed our campaign to support the region's vulnerable during the festive season. Ian Adams, who will play Dame Trott, and Adam C Booth, who will star as Jack's brother Simple Simon, are set to return to Wolverhampton's Grand Theatre next month. Mr Booth said the pair would be supporting the appeal and added: "The amount of food that everyone throws away, you don't think at all and things get chucked. But we need to be aware that there are people out there who really need it." Good causes set to benefit are The Well (Home of Wolverhampton Food Bank), Wolverhampton’s the Good Shepherd Ministry, the Black Country Food Bank, the Smethwick Food Bank, Walsall North Food Bank and Cannock and District Food Bank. The appeal will also support The Haven, which helps women and children affected by domestic violence and homelessness. Slade guitarist Dave Hill, band The Vamps, antiques expert Will Farmer, Team GB gold medallist Joe Clarke and former Emmerdale star Lisa Riley - who will also star in Jack and The Beanstalk - have already thrown their weight behind the appeal. Last year's festive campaign was a huge success, with 9,000 items collected thanks to the generosity of our readers. The donated food helped spread a little Christmas cheer to hundreds of homeless and struggling families.